When Perry Weitz and I founded this firm in 1986, we took the position that every client’s case would be treated as if it were the most important because we believe every client deserves his or her lawyer’s diligent attention, compassion, and excellence. We had but one goal: providing exemplary, custom-tailored legal service. Nothing has changed since the beginning, except that we’re now the largest mass-tort and personal injury litigation law firm in New York City and a powerhouse of legal innovation on the national scene as a result of holding fast to our founding principles. We find ourselves fortunate to have the opportunity of practicing law at its highest level for America’s most vulnerable citizens as well as furthering ambitious philanthropic and social initiatives. A nationally-dominant plaintiff’s/trial law firm has many parts. The part the public sees is usually in the courtroom, and then there’s the part that operates in a different sort of limelight, but one that’s as equally dynamic and integral to the firm’s success. Since the firm’s inception in the late 1980’s, Arthur M. Luxenberg has directed this vast part of Weitz & Luxenberg’s operations, guiding the painstakingly exhaustive behind-the-scenes work that takes place long before any of the firm’s cases makes their way to the courtroom or a settlement negotiation. He oversees the health of the entire W&L ecosystem: adroitly administering the domains of public and governmental affairs, supervising and managing the large-scale settlements, and all of the firm’s operations. He has been a visionary in the areas of firm branding, multi-media marketing, and the sophisticated automation of the firm’s full range of activities. Named as the Best Lawyers 2013 mass tort litigation Lawyer of the Year in New York City, Mr. Luxenberg has earned the esteem of his colleagues and adversaries for his abilities as a proven troubleshooter, a talent he acquired early in his career by developing and implementing winning strategies for appellate cases. Perhaps his most famous appellate case was that of Hymowitz v. Eli Lilly & Co., which led to the upholding of a 1986 New York law allowing asbestos and DES victims to bring suit after the statute of limitations had run (Mr. Luxenberg’s key achievement in that matter had the effect of making New York a viable jurisdiction for mass-tort litigation). 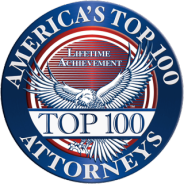 It is no surprise that Mr. Luxenberg has been rated as a New York “Super Lawyer” every year since 2006 and a “Best Lawyer” annually since 2008. In addition to his track record as administrator of a legal enterprise comprising 100 talented attorneys, 400 paralegals and specialists and thousands of active cases, Mr. Luxenberg has enjoyed significant accomplishments with specific legal actions, such as when he represented passengers seeking damages from owners of the cruise ship Achille Lauro following its hijacking by terrorists off the coast of Egypt, when he served as liaison counsel for the asbestos and silicone breast implant litigations, and was a member of the DES Steering Committee for the State of New York. He has held numerous leadership positions in trial law advocacy organizations such as the New York State Trial Lawyers Association (including serving as First Vice President) and the New York City Bar Association, where he sat on the influential Committee on Professional and Judicial Ethics. He is also the co-author of a Practicing Law Institute course book. Philanthropy is essential to Mr. Luxenberg’s life outside the firm. For example, Mr. Luxenberg has long toiled to help eliminate hunger for the underprivileged: he serves as chairman of United Soup Kitchens, a nonprofit organization established to standardize the operations of approximately 20 independent charity-meal centers across Israel and the former Soviet Union. He has been influential in the support of Jewish education through his service as past president and current chairman of the 1,000-student North Shore Hebrew Academy in Great Neck, NY and led the Jewish Lawyers Guild’s dramatic efforts to restore honor and professional standing to the thousands of German Jewish attorneys and judges who were disbarred after the Nazis swept into power in the 1930’s. On January 14, 2014, Mr. Luxenberg was named one of the two Alumni of the Year from Cardozo Law. Co-Author, Practicing Law Institute Course Book, 1988. Moot Court Judge, Fordham University, New York City, 1987-8. Arthur Luxenberg will be happy to review your case.